So Which Phone Is Faster? Discussion in 'iPhone' started by ghsNick, Sep 16, 2014. I've seen conflicting reports stating the 6 Plus is faster then to see another report showing the 6 is faster. The truth? They're almost identical in raw power, benchmarks will always vary (and in this case they vary slightly). The 6. I've seen multiple reviews/ benchmarks that state this. I believe the Macworld review benchmark he made a mistake. Here is another one if you scroll down that shows this. Its the same chip. Thats why the reviews are flip flopping, and why they are both so close. They are both a 1.4Ghz CPU clocked A8. Is this confirmed? I've read conflicting reviews. Iphone 7s is looking like the real winner here! Same chip, same RAM, same everything. It's the same phone with a larger screen and a little bit better of a camera (only because they were able to fit a better camera because of the larger size). Wouldn't be surprised if the 6 were a little faster because the 6 Plus has to push around more pixels with the same processing power. The current results are far too inconsistent to reliably say which one is "faster" (it won't be a big difference). Lets wait for a truly in depth review from Anandtech to be sure. 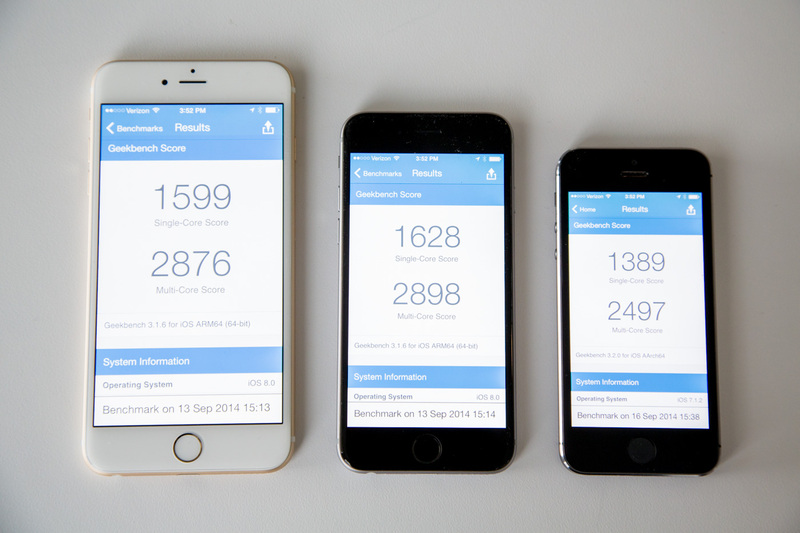 iPhone 6 is faster than 6 plus. Who cares? Is anyone using this as the main computer in their spaceship? I didn't think so. They're the same phone for all intents and purposes.